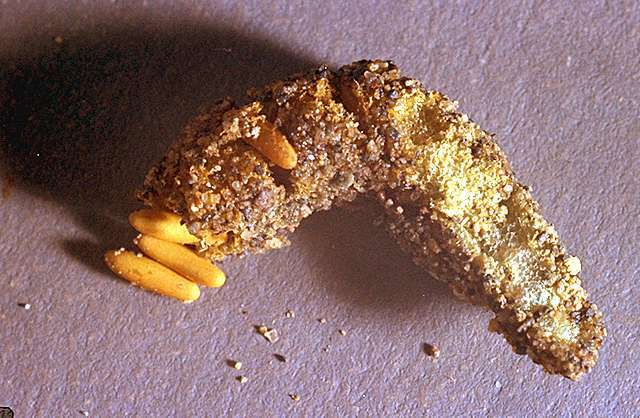 Pest description and crop damage Infestations are most likely where sugar beet fields immediately adjoin grasshopper breeding sites in uncultivated grassy rangelands and desert areas. 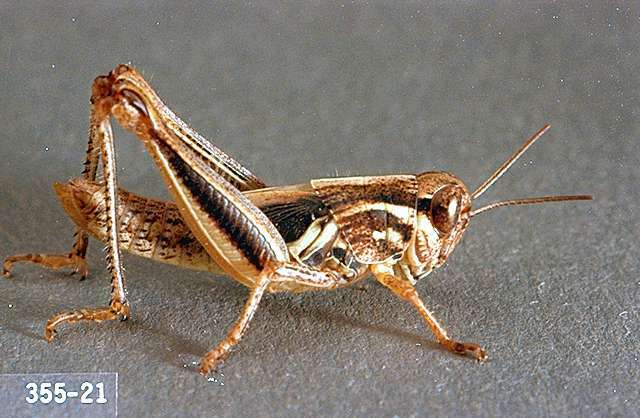 Grasshoppers are problems especially when rangeland vegetation dries earlier than normal and they move to still-green field crops. 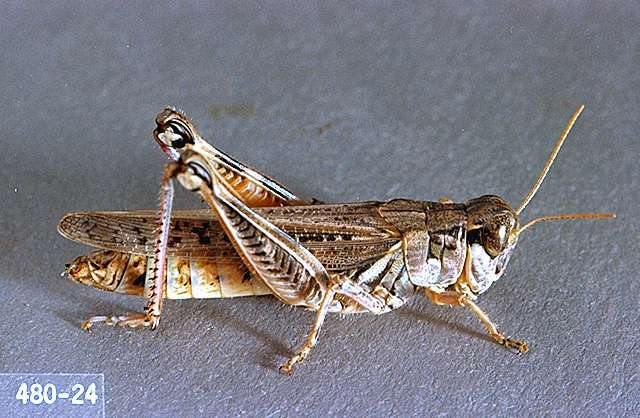 Scouting and thresholds No formal economic thresholds exist for grasshopper insecticide treatment decisions. Consider treating field edges where grasshoppers are advancing rather than entire fields. Beauveria bassiana (BontaniGard 22WP, BotaniGard ES, Mycotrol ESO, Mycotrol O - live spores of an insect-killing fungus)-See label for rates. PHI 0 days. Typically requires 7 to 10 days after first spray to see control. Begin treatment at first appearance of pest. Reapply as necessary. OMRI-listed for organic use. alpha-cypermethrin (Fastac EC, Fastac CS) at 0.014 to 0.025 lb ai/a. PHI 50 days. REI 12 hr. Apply by air or ground equipment using sufficient water to obtain full coverage of foliage (minimum of 2 gal per acre by air and 10 gal per acre by ground). Apply no more than 0.075 lb ai/a per season. 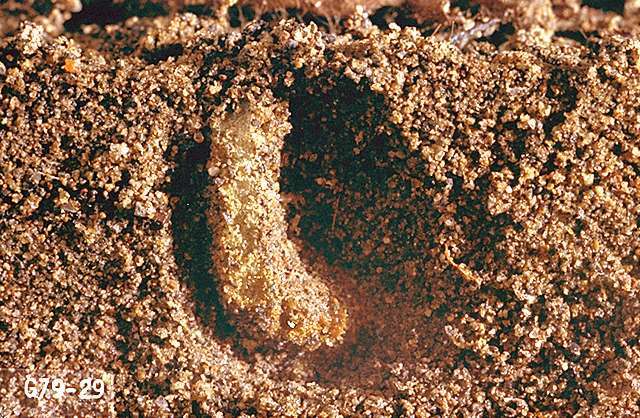 For Fastac CS do not graze or harvest sugar beet tops for livestock feed. azadirachtin (Debug Trés) at 0.0375 to 0.1054 lb ai/a. carbaryl (Carbaryl 5% Bait, Carbaryl Cutworm Bait, Sevin 5 Bait, and Bran For Grasshoppers) at 0.6 to 1.5 lb ai/a. PHI 28 days. 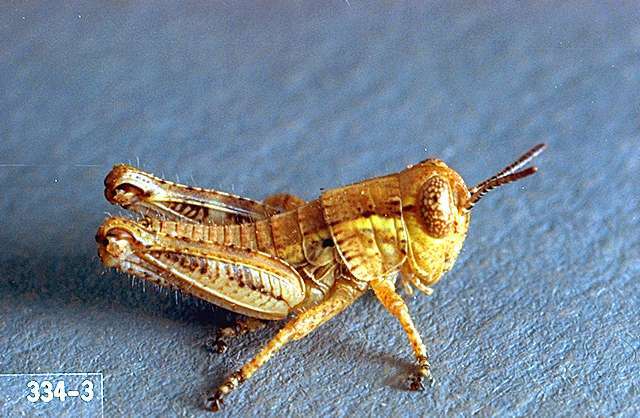 Do not apply more than 3 lb ai/a per crop; for Bran for Grasshoppers, do not apply more than 1.2 lbs ai/a per crop. chlorpyrifos (Chlorpyrifos 4E, Eraser, Govern 4E, Lorsban 4E, Lorsban 75WG, Nufos 4E, Pilot 4E, Warhawk, Whirlwind, Yuma 4E, and others) at 0.25 to 0.5 lb ai/a broadcast OR Lorsban Advanced, Vulcan at 0.235 to 0.469 lb ai/a broadcast application. PHI 30 days. Do not let livestock graze in treated areas or harvest treated beet tops as feed for meat or dairy animals within 30 days after last treatment. esfenvalerate (Asana XL, S-fenvaloStar, Zyrate) at 0.03 to 0.05 lb ai/a. PHI 21 days. Apply as necessary, but no more than 0.15 lb ai/a per season. Apply with ground or air equipment using enough water to cover uniformly (at least 2 gal/a of water). kaolin (Surround WP) at 23.75 to 47.5 lb ai/a. For suppression only. Product forms a barrier film that acts as a protectant; apply before infestations develop and continue on a 7- to 14-day schedule for the duration of the infestation. OMRI-listed for organic use. naled (Dibrom 8 Emulsive) at 0.94 lb ai/a. REI 48 hr. PHI 2 days. Recommendation as permitted under FIFRA Section 2(ee). Do not apply more than 4.7 lb ai/a per season. pyrethrins (Lynx EC 1.4, Lynx EC 5.0, PyGanic EC 1.4, Tersus) See label for rates. REI 12 hr. PHI 0 days. Some formulations are OMRI-listed for organic use. pyrethrins/Beauveria bassiana (BotaniGard Maxx, Xpectro OD) See label for rates. Do not reapply for at least 3 days. In case of extreme pest pressure, wait a minimum of 24 hr before reapplying. Do not harvest until spray has dried. (Mustang Maxx) at 0.014 to 0.025 lb ai/a. 50 day PHI for tops or roots. Do not apply more than 0.075 lb ai/a per season. REI 12 hr. Apply by air or ground using minimum of 2 gal/a by air and 10 gal/a by ground.